This is the full and detailed views of the paperback cover for the Italian paperback edition of Skinwalkers. This edition was published in 1994 by Arnoldo Mondadori Editore in Milan, Italy. 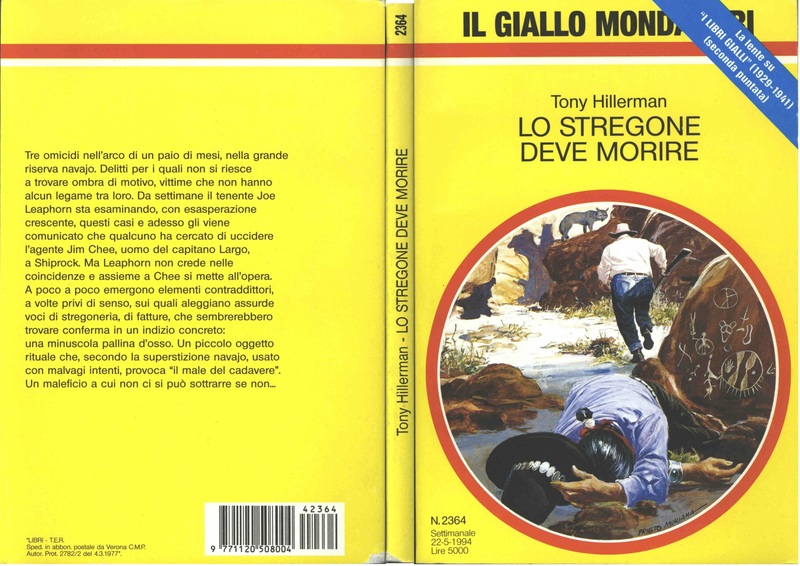 Il Giallo Mondadori (the yellow Mondadori) was a series of weekly publications put out by the Mondadori publishing house. The text was translated from English to Italian by Mariapaola Dèttore, with the title translated as "The Witch must Die." 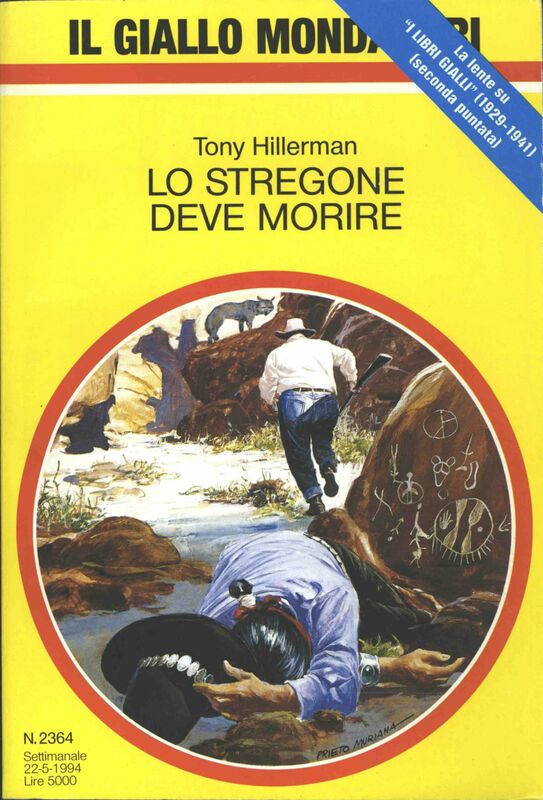 Cover Design and Photography Credits: The cover was designed by Prieto Muriana and features a bright yellow background with red bands framing an inset illustration depicting a man with a gun running away from man collapsed in front of a rock covered with petroglyphs.